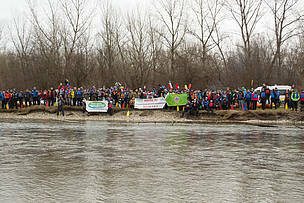 VARAŽDIN – Eleventh year in a row, Rafting Club “Matis” in cooperation with WWF organized the Winter Rafting on the Drava River this Saturday. The participants paddled from Svibovac to Varaždin. 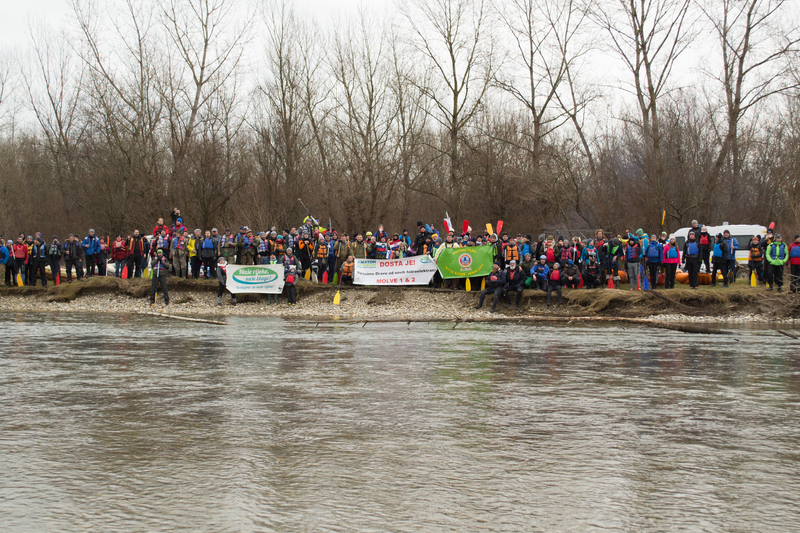 With the slogan “Let the rivers flow!”, Drava rafters reminded us about the importance of preserving the natural flow of the Drava river and its biodiversity. It is a fragile balance that can easily be destroyed by our negligence and unsustainable exploitation. That was the reason why this year’s gathering was dedicated to WWF’s #ProtectWater campaign. The aim of the #ProtectWater campaign is to save the most important EU provision for the protection of water which is currently under evaluation to understand whether it fulfils its purpose. “Unfortunately, many EU member-states want to dilute this provision and extend deadlines for the implementation of goals set out in the Water Framework Directive, thus further endangering European freshwater resources”, warns Irma Popović Dujmović from WWF. More than 60% of freshwater resources in Europe is in poor condition and any further deterioration is ecologically, socially, and economically not acceptable. Aware of the importance of the Drava River that transcends national borders, participants of the winter rafting caution us about the upcoming Amendments of the Master Plan for Koprivnica-Križevci County which could irreversibly damage the Drava River, affecting future generations. That is why they urge all citizens to get involved in the public discussion about the Amendments of the Master Plan for the County and contribute to the protection of the Drava River. The public discussion is expected to begin on 12th March and will last until 10th April 2019. All river and lake enthusiasts and aficionados are invited to raise their voice and say NO to further deterioration of our shared water resources. If we act now, we can help preserve our waters - http://www.wwfadria.org/kampanje/protect_water/!